Being a caretaker in an old folks home , that wasn’t something on my to-do list to be honest , until we were asked by, me and my friend Ghaza, to take part in Amazing Grace caring center as caretakers for one day. When we first arrived , we get a warm greeting from all the senior citizens and then we made two presentations about our countries , even though some of them were dozing off maybe because they can’t concentrate for a long time but i can say that the others were interested to know about our countries , after that we played some Christian songs for them and in the meanwhile we had a long conversation with the manager and she gave us a briefing about the daily activities of the center and about some stories of the senior citizens who live there . At 13h , we were invited to have lunch which i didn’t like by the way ( laughing face) and after that we prepared a game for the elderly , it was a guessing game which i think they really enjoyed . After finishing the game , it was tea break time and then we all gathered to take a group photo . 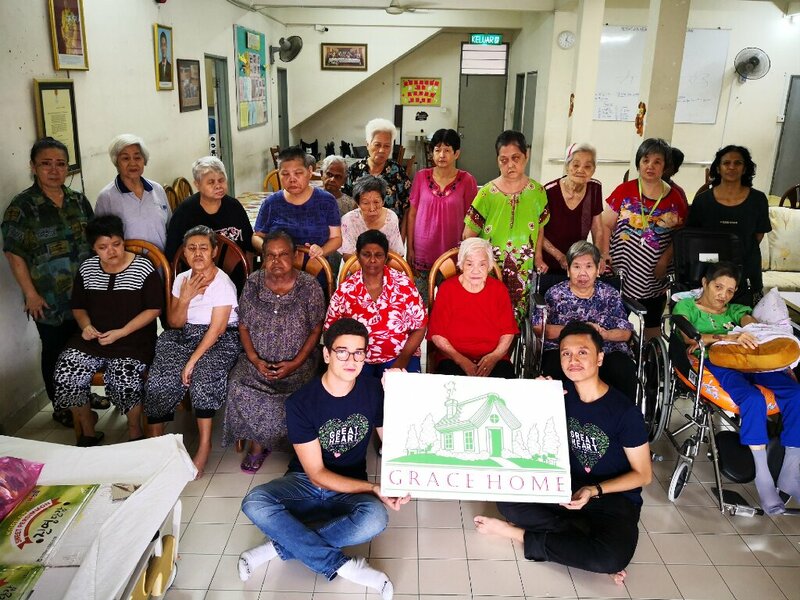 It was a new experience for me to know what it’s like to be a caretaker in an old folks home and as a first time i think we were very successful or at least that’s what i understood from the manager’s words as she wanted us to come back again once or twice .